The Tamiya f 16 did not need any resin otoh be trumpeter usually benefit from at least the ejection seat. I am guessing some of you by now have seen it in person. I know the aftermarket will fill in the gaps rapidly but in terms of the pit how badly or well is it portrayed? 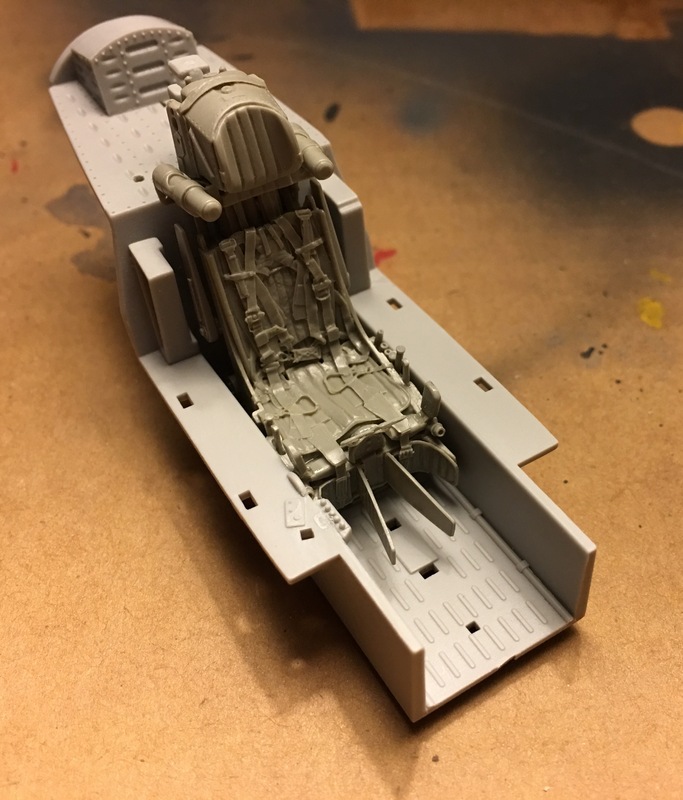 Seat is a definite, cockpit less so, personal preference and all that, Cold War are going to release a cockpit set, so the choice is yours! Think cockpit is good OOTB, but can definitely use a new seat. The Quickboost seat fits perfectly. How about the UB version cockpit? Pretty much the same in level of detail and same needs. So quick boost QB 32 050 are the ones to get? when I do a search on cold war models every cold war era plane or boat comes up anybody know a website that sells them? I grabbed a resin seat and some pre-colored Eduard PE. Zactoman sorry I didn't realize that you rengineered your exhaust and the wheels. I already ordered wheels from North Star an exhaust set from another company. Damit! !